Fancy a costume change midway through the day? 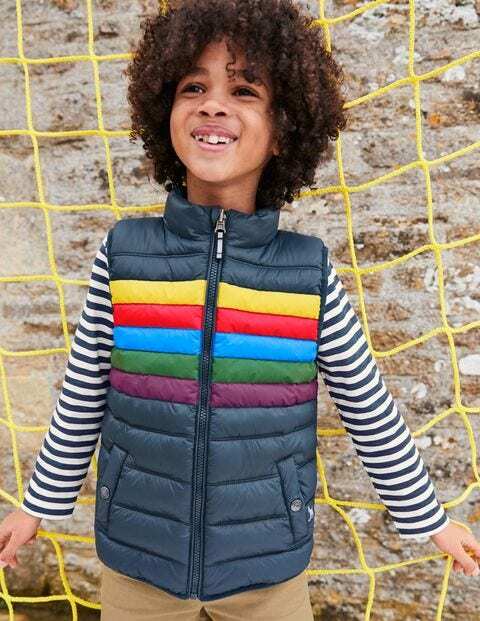 No sweat – this reversible, shower-resistant gilet has it covered. As well as the vibrant prints, there are reflective trims for keeping safe on evening adventures, and popper pockets to stash whatever treasure's picked up along the way.